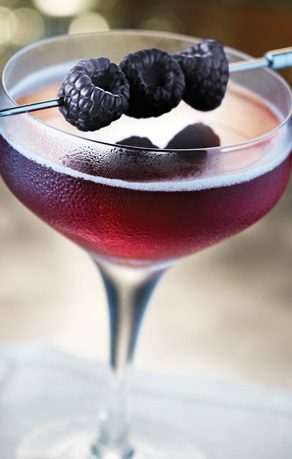 After tasting Chambord neat, Hal Wolin, spirits blogger at A Muddled Thought, crafted this luxurious cocktail to amplify the French liqueur’s notes of fresh berries, vanilla and subtle spice. Shake all ingredients with ice and strain into a chilled coupe. Garnish. Vanilla syrup: Bring 1 cup of water and 1 cup of white sugar just to a boil. Remove from heat and add 1 split vanilla bean. Cool to room temperature and strain into a glass bottle. Will keep refrigerated for 2 weeks. A mashup of mezcal and whiskey makes for a rich, smoky combo.